How would you like to build your own U.S.S. Enterprise bridge? 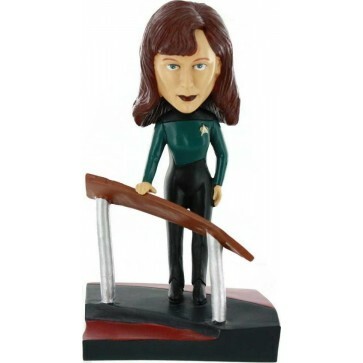 Start with this Dr. Crusher Build-a-Bridge Bobble Head! It features a remarkable likeness of actress Gates McFadden. Beamed directly from Star Trek: The Next Generation. 5th in the series, it connects to the other 7 Build-a-Bridge bobbles!